I hope everyone has had a great start to the new year. I am not one to follow astrology that much yet I do always think its fun to find out what the Chinese calendar says the animal of the year is. 2013 is the year of the black water snake. 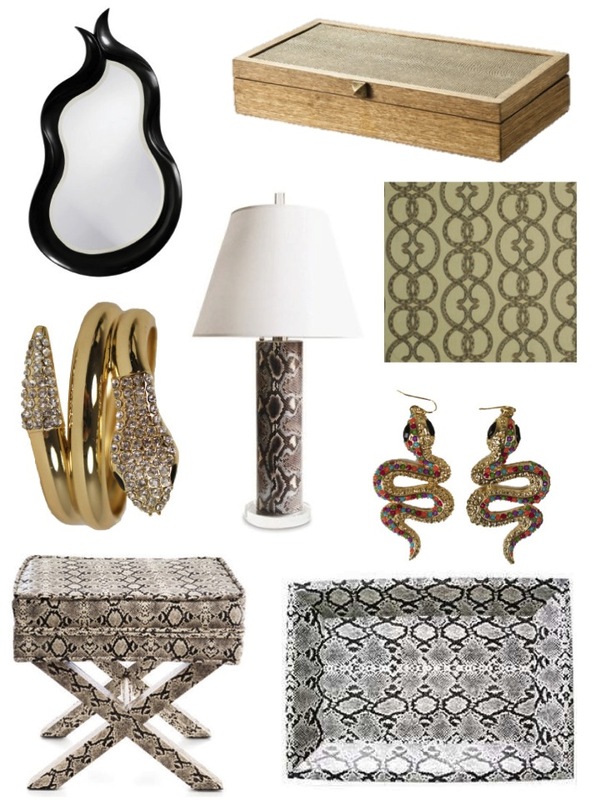 While snakes completely freak me out, I don't hate the use of snake inspired elements in home and fashion. So bring some good luck, along with this years animal, into your home!